For over sixty years, The Rubin & Rubin law firm has been fighting for those seeking a voice for justice. One of the Southeast’s most prominent attorneys, Ellis Rubin (1925-2006), was joined by his sons, Mark Rubin and Guy Rubin in the 1980’s. Mark and Guy each have nearly thirty years of diverse and proven experience handling and resolving complex personal injury and business cases with great success. Our personal injury expertise includes; serious injury and death cases: auto/car accidents, including drunk driving, text/texting while driving and reckless driving, rear-end and head-on collisions, trucking and motorcycle bicycle crashes; pilot error/airplane failure and mechanical defects, faulty and defective consumer and industrial products; medical malpractice involving doctors, hospitals and nurses; negligent custody of children, minors and mental health patients; nursing home abuse; vicious dog bites; negligent security and swimming pool injury and death; civil rights, including police abuse, false arrest, excessive force (police brutality), sexual harassment and race discrimination. Rubin & Rubin's founding member was Ellis S. Rubin. 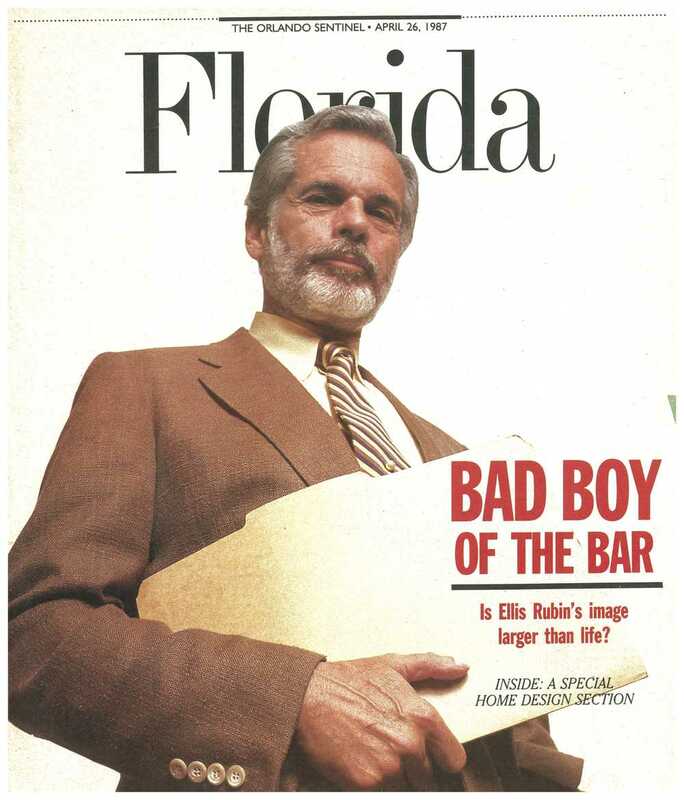 Ellis Rubin became an attorney in the State of Florida in 1951. Initially, he was appointed as an Assistant State Attorney General by the Governor of the State of Florida. In 1984, Rubin's son, I. Mark Rubin, joined the firm and by 1985, they partnered in a new firm, Rubin & Rubin. They worked together on many cutting edge legal issues in Miami and throughout the U.S. In 1987, Rubin's dream of practicing law with his two sons became a reality when his other son, Guy Bennett Rubin, joined the firm. The three Rubins were well known in Miami legal circles as the voice of the little guy. By 1993, after six years of practice together, Guy Rubin opened the independent Stuart, Florida office, now operating as Rubin Law Associates, P.A., and in 1994, Mark Rubin opened the independent Jacksonville, Florida office, now operating as Rubin & Rubin, P.A. All three offices thrived until Ellis passed away at the age of 81 in 2006. Today, the Jacksonville and Stuart offices carry on the legacy of Ellis Rubin through his loving and devoted sons.